Enjoy a gentle moisture-rich, facial mask loaded with antioxidants to soothe, hydrate & add a youthful glow to all skin types. The Pumpkin Spice Moisture Mask restores the skin’s water lipid layer, increases the amount of nutrients and oxygen in the skin cells and neutralizes free radicals. 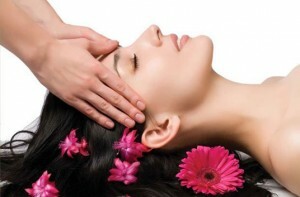 The honey facial is ideal for everyone, especially those with sensitive skin. Honey’s naturally occurring vitamins such as B, C, calcium, copper, iron and magnesium, allow it to boost your skin’s ability to retain water which is crucial for a youthful, fresh face. Due to its hydrating qualities, it’s also perfect as an anti-aging treatment. Cleopatra is said to have bathed in milk and honey baths, so treat yourself to a treatment Fit For A Queen!